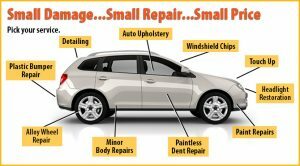 "Your one stop shop for accident repair!" Let Us Fix Your Bumper Damage! At Mickelson’s Auto Body we pride ourselves on being able to repair plastic bumpers to perfection. We follow all of the steps needed to make your damaged vehicle look like as good as new. 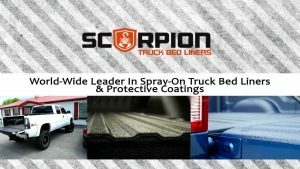 Our staff understands what it takes to repair plastic bumpers and the need to use products that will last. You can be assured when we make that repair that it is done with care. 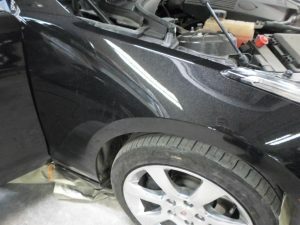 Look at the picture below to see the type of plastic bumper repair quality that you can expect from us. Plastic bumper repair can save you money on your estimate with your insurance company. Instead of having to buy a brand new plastic bumper we can repair it saving both you and the insurance company money. Fixing damaged plastic bumpers involves grinding, sanding, sculpting, and painting, but it’s worth the effort for repairs that would cost less than your deductible. In these modern times with insurance prices being what they are this is important. So if you back up and hit something that’s in your blind spot and damage that plastic bumper don’t worry. 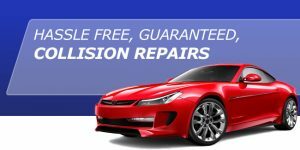 Mickelson’s Auto Body will make sure that we repair that plastic bumper and get your car back home to you as good or better than before.